EP8 Made In Heaven - Review and Discussion | FilmStop. Looking for a new series? 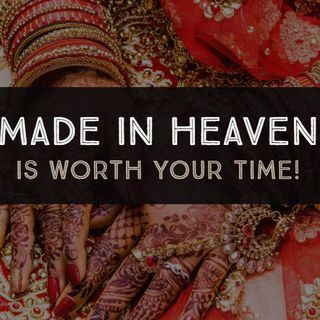 Listen-in to our review of Made In Heaven, a new Indian Amazon Series that definitely breaks through the clutter and speaks straight to the heart. Synopsis: Wedding planners Tara and Karan mask their vulnerability -- sometimes even from each other - but their work forces them to open up and reveal themselves as they enter the lives of brides and grooms.